The National Security Resource has become one of the UK's best websites for finding a qualified and trustworthy security installer in your local area. In order to fully appreciate how good these companies are, we just had to create a way for us to show you what the customers of these companies had to say about their work. With more than 100 years combined experience GCD Security have been providing high quality security solutions to both domestic and commercial clients to great success for many years. With a wide range of security solutions to offer, they are sure to be able to install a comprehensive system to ensure your safety. Established since 2008, CVS Fire and Security offer fantastic security solutions to domestic, commercial and industrial clients throughout the Bristol area. Working with a wide range of clients across the South West region, services include Intruder Alarms, Fire Alarms, CCTV, Door Entry and Electric Gates. Scan Alarms are one of Northern Ireland's security specialist with expertise in access control, CCTV, Intruder alarms, fire systems and much more. Crown Security Systems were established in 1982, with over 30 years of experience within the specialist electronic security installation and maintenance industry they are able to offer customers the perfect security solutions for their home or business. Working across Fife and the surrounding areas within Scotland, our specialist security installers are able to provide you with high quality, long lasting solutions that ensure the highest levels of protection at all times. No matter whether you are a landlord or a director of a hospital, we have a range of solutions that meet all of your individual requirements. At BAC Fire and Security they have been providing and supplying fire and security systems to domestic and commercial. They provide their services throughout the South West region, this is something that they have been doing for more than 23 years. Church Street Security have been providing high quality security solutions to both domestic and commercial clients for many years, with a wide range of experience they can offer a personalised service, to you, today. With nearly 10 years experience in the industry, Fosseway Security have been providing their services to commercial, industrial and domestic clients throughout Leicester specialising in intruder alarm installation as well as a host of other services. Based in Oxford, Executive Security have been operating since 1990 offering bespoke security solutions across the local region. With a large client base across the domestic, commercial and industrial sectors, Executive Security employs 15 staff including a dedicated team of experienced engineers, administration staff and apprentices. Ellard Security have been providing expert solutions since 1997, as highly experienced experts with knowledgeable engineers ready to install a wide range of security systems to your home or business. At Hastings Locksmiths, we provide specialist locksmith services across Hastings and the local surrounding areas. With a range of services available, from car locksmiths to 24/7 emergency call outs, you can rest assured that you will be provided a service that meets your individual requirements. Guest Fire & Security are an established company with over 25 years experience in the industry, this allows them to provide specialist security services to a range of clients from domestic to commercial. Covering Nottinghamshire, Derbyshire and Leicestershire, Mercury Fire & Security boast over 25 years of experience in the security sector and offer high quality, effective security solutions to both domestic and commercial clients across the local region. Utilising up to date technology solutions to all, offering competitive quotations and a 24 hour emergency service to customers, Mercury Fire & Security are also accredited to the highest standards, including NSI Gold. Keyways have been proudly serving the community with a wide range of security and safety systems for both business and domestic sectors for almost 50 years. As a founder member of NASIC, Keyways play a leading role in ensuring compliance with all relevant industry bodies and seeking overall improvement. Operating throughout East Sussex, Be Sure Security Systems provide a comprehensive range of fire and security solutions within both the commercial and residential sectors. Delivering security solutions to domestic clients as well as to hospital trusts, local authorities, government departments and businesses of all sizes, Be Sure Security Systems are able to meet your individual requirements, whatever they may well. Based in Oxford, Contact Security have over 34 years of experience in the industry and boast a NSI Gold accredited installation team. As a forward thinking security company with an award winning team of engineers working throughout the local Oxford area and London, Contact Security maintain the highest quality standards across both the commercial and domestic sectors. For over 25 years BWS Fire & Security Systems have worked tirelessly to provide the perfect security solutions and services within Bath and the surrounding areas. With the aim to deliver the highest possible levels of security performance. Equipped with advanced technology with tested and proven features our systems offer cutting edge technology that provide precise security and safety. As part of the Fuzion4 Group, AB Fire & Security provide high quality security services across Hastings, Tunbridge Wells and the surrounding areas. All of their services are designed around you, and as NSI Gold approved installers you can rest assured that your system will be installed to the highest standards. Based in Exeter, ER Security are able to provide a range of high quality services that meet your individual requirements. From manned guarding to technical aspects such as CCTV, you can rest assured that you will be fully protected at all times. Established in 1985, A.M Fire & Security Group offers of comprehensive range of security services across both the commercial, industrial and domestic sectors. Serving Brighton, Hove and the South East of England, A.M Security have a wealth of experience in the security industry and work for local Government and Councils, Schools and Universities, retail premises and Emergency Services across the region. ER Security have been delivering comprehensive security packages for commercial and domestic clients across Surrey and the surrounding areas for many years. Established in 1981, Heston Apex Ltd focuses on providing security systems for commercial, residential and public sector customers across Guildford the wider Surrey area. From Intruder alarms, CCTV systems to fire alarms and Access Control Heston Apex can manage your security requirements whatever they may be. Working across Bitterne, Chandlers Ford and the local surrounding areas in Hampshire, our specialist locksmiths are able to provide high quality services tailored to your individual requirements. Approved by MLA, you can rest assured that you will be provided a reliable service that meets the highest standards. Established more than 30 years ago, we have deterring criminals with high quality security solutions that are individually tailored to your exact needs. At BWS Standfast we have been providing a range of services including, design, installation and maintenance to ensure that you are fully protected for many years. Over more more than 12 years, our team of knowledgeable experts are able to provide trusted services to ensure the perfect fire protection for properties across Devon. Arrest Security based in Scotland have been established since 1999 and offer bespoke security solutions to both domestic and commercial clients across the Glasgow region. Understanding the challenges homeowners and businesses face, Arrest Security offer solutions to protect human life, property and assets. Britannic Fire & Security offer a wide range of security solutions across the Birmingham region. Established in 1990, Britannic Fire & Security offer a bespoke service whether you are a domestic, commercial or industrial client. From the largest commercial client to the personal, dedicated service for our domestic client, Britannic Security deliver a first class service to all. Made up of 5 individual companies, Fuzion4 encompasses AB Electrical, Hastings Locksmiths & Security Centre, AB Fire & Security, East Sussex Security and BeSure Security Systems who operate across the East Sussex area. Offering a comprehensive range of security services to both the commercial and domestic markets, Fuzion4 are able to assist with all security needs you may have. Based in Newmarket in Suffolk, Aztek Services offer a wide range of security solutions across the East Anglia region and North London. Backed by a comprehensive design, installation and after sales team, Aztek Services deliver security solutions for the Government, The Ministry of Defence, as well as commercial, industrial and residential clients in the local area. Reputable, trusted and experienced fire & security company based in the Somerset area. With over 18 years experience in the industry, PG Fire & Security have established themselves as one of the areas leading experts in security. With over 25 yearsâ€™ experience in the security industry, Tollgate Security provide clients across Bath and the surrounding local areas with high quality security solutions, truly bespoke to your individual requirements. Serving both commercial, domestic and public sector clients, Tollgate Security are ideally situated to provide intelligent and reliable solutions to suit your exacting needs. We are a team of expert fire and security engineers that are able to offer a wide range of customisable solutions that not only ensure the utmost protection for you and you property, but also meets each of your individual requirements. Based in Manchester, GB Security Systems provide high quality security solutions to domestic and commercial clients across the local Manchester region and the local surrounding areas. With over 25 years of experience in the industry, GB Security Systems are a NSI NACOSS Gold Approved company for the design, installation and maintenance of CCTV, Access Control and intruder alarm systems meaning they are able to assist with your individual requirements. Based in Taunton, Somerset Coomber Fire & Security are an NSI Gold and BAFE accredited security company working across the local area. Trusted and well respected in the local South West region, Coomber Fire & Security offer a wide range of security solutions to commercial, industrial and domestic clients. Offering a range of services including Fire & Security, Mechanical, Electrical, IT Services, AirMagnet Surveys and CAD Draughting, JPR Engineering are a leading Electrical and Mechanical Contractor operating throughout Staffordshire. Delivering a first class, one-stop shop, Building Services solution, JPR Engineering embrace the complete construction overview, utilising better planning and minimising risk. Active Security offer a wide range of security and electrical services across Maidenhead and Henley regions. 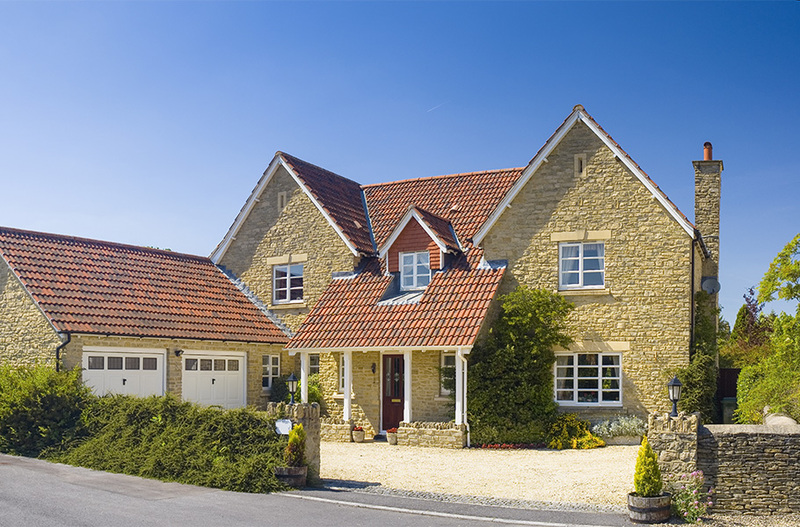 Accredited by leading national inspectorates, Active Security work within both the domestic and commercial markets offering intruder alarms, CCTV systems, Fire Alarms and Access Control systems throughout the Berkshire and Oxford areas. Based in Brighton, East Sussex, our specialist security systems are able to provide you with long lasting protection you can trust. With over 25 years of experience within the industry, you can rest assured that you will be provided a service that not only meets your individual requirements, but is also carried out to the highest standards. As specialists in the fire and security industry, JPR Fire & Security offering a complete service management approach throughout the North West of the UK and beyond. As NSI Gold Accredited Engineers, JPR Fire & Security have over 40 years in the security industry and are able to help you with any requirements you may have.